There are some amazing technology, training methodologies and processes that will help you develop an award-winning customer experience but sometimes it’s the things that don’t cost a cent that is the most important. 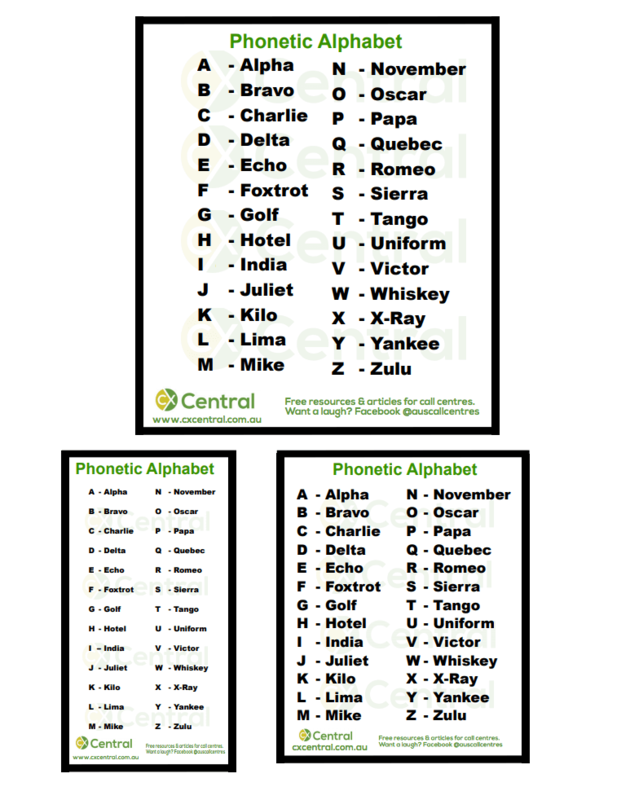 A Phonetic Alphabet is a great way to improve professionalism, improve data accuracy and even make your call centre more efficient. What is a Phonetic Alphabet? Its the universally recognised “A for Alpha, B for Bravo, C for Charlie” alphabet also known as the military alphabet, spelling alphabet, NATA phonetic alphabet or “that thing where you use the names to spell the words”. Of course, there is also lots of jargon, acronyms and abbreviations used in call centres – make sure you check out our CX Glossary with over 150 common terms explained. What does a Phonetic Alphabet do? In short, it makes conversing with a customer a whole lot more professional when trying to spell out words using an internationally recognised alphabet. Aside from sounding a lot more professional, using a phonetic alphabet will increase the accuracy of your information, decrease Talk Time and reduce customer frustrations which in the call centre world, are all pretty important outcomes. 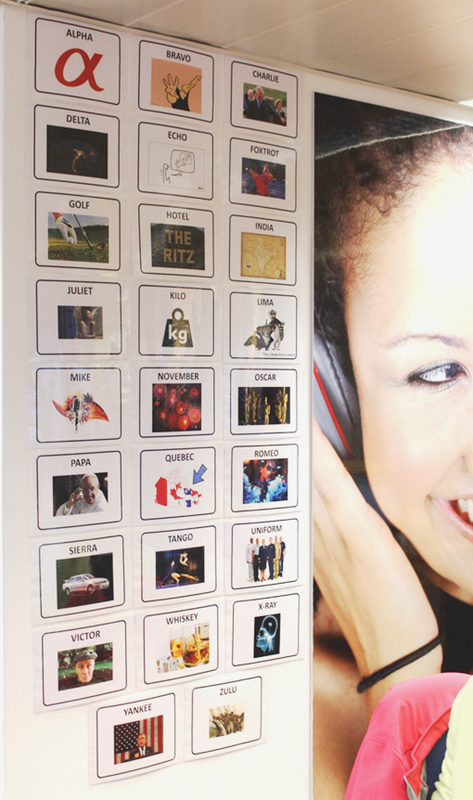 You can print off big pages to represent each letter, paint it on the walls, use it as your desktop screen, print it in on a mouse mat – there are lots of ways you can get creative to ensure everyone learns the Phonetic Alphabet in your call centre! And what’s best is it’s completely free! You can print our handy download on A4 portrait paper – it comes in three sizes that you can easily cut out and use on your call centre desk.